Raglan is renowned for being ‘surfer heaven’ – but actually it's everyone's heaven. Whether you’re a surfer, swimmer, shopper or foodie, there is much to love about the wild west town of Raglan. We (myself and partner, two kids and the dog) cruised into Raglan for a long-weekend, mid-summer. Our rented bach was suitably low key, perfectly situated for strolling to the wharf or a quick drive into town. In 48 hours we climbed sand dunes, cruised the harbour at sunset, shopped for homewares & vintage, ate delicious (and healthy) food and jumped off the bridge into the river (actually I didn’t jump off the bridge, someone had to stand watch!). There is so much more we could have done if our three days had been five. 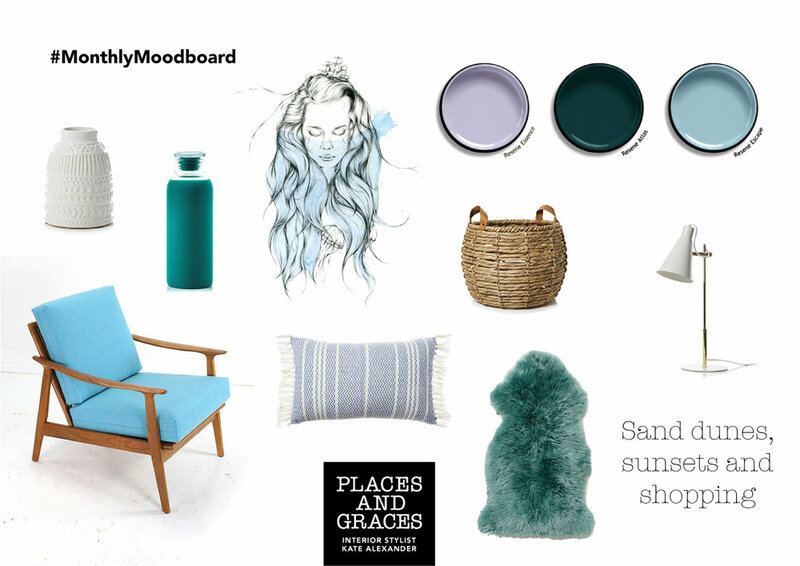 Read on down for our 'Raglan must see list' and a mood board inspired by the colours of the ocean. A stroll to the wharf end of town, also know as the Silos. Here you’ll find good coffee, the studio of Tony Sly pottery, and the wackiest retro shop – Raglan Vintage & Retro – they even have a replica Doctor Who elevator! The Silo wharf is also where the highly recommended sunset cruise leaves from. Half way between the Silos and town you’ll find The Monster Company – a collective of artists retailing from a cool old building on Wallis Street. Shopping in town is well-rounded, starting with the inevitable and well-stocked surf shops. 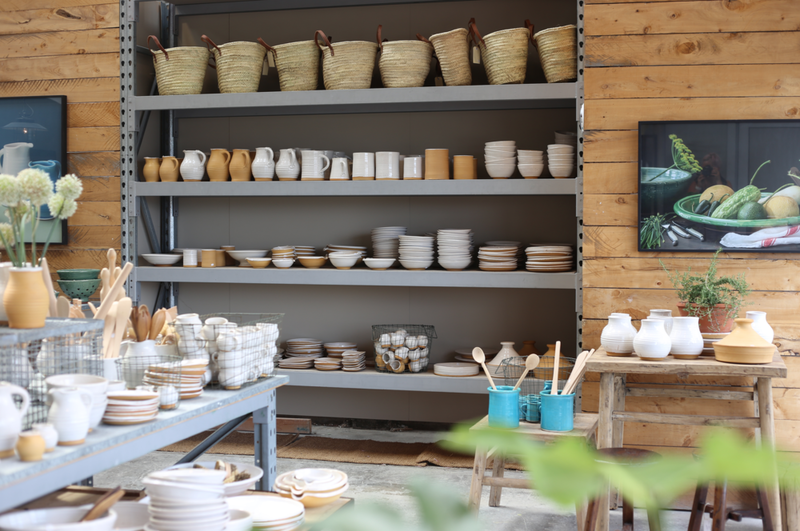 There is also enough vintage, fashion and homeware boutiques to keep any fossicker happy. Food glorious food. Raglan tops the charts for food. Anywhere you eat or drink will be awesome. Be sure to explore different places – in town, at the Silo wharf and out towards the surf beaches. Fill you lungs with salty air and soak up the epic kiwi scenery at Te Toto Gorge walking track. Even if you don't walk the track, the views from the carpark make the dirt-road-drive worth it! Raglan is all about the ocean. Wether you're in it or chillin' out after being in it. It's a place of sand dunes, sunsets and scenery. The vibe is mellow and nature is never far away. Our Raglan mood board starts with the the suitably named Resene Essence, Atlas and Escape – reflecting the tones of the ocean. Anchor your room with a timeless retro classic – this restored teak Parker chair from Furnichur is a beauty.